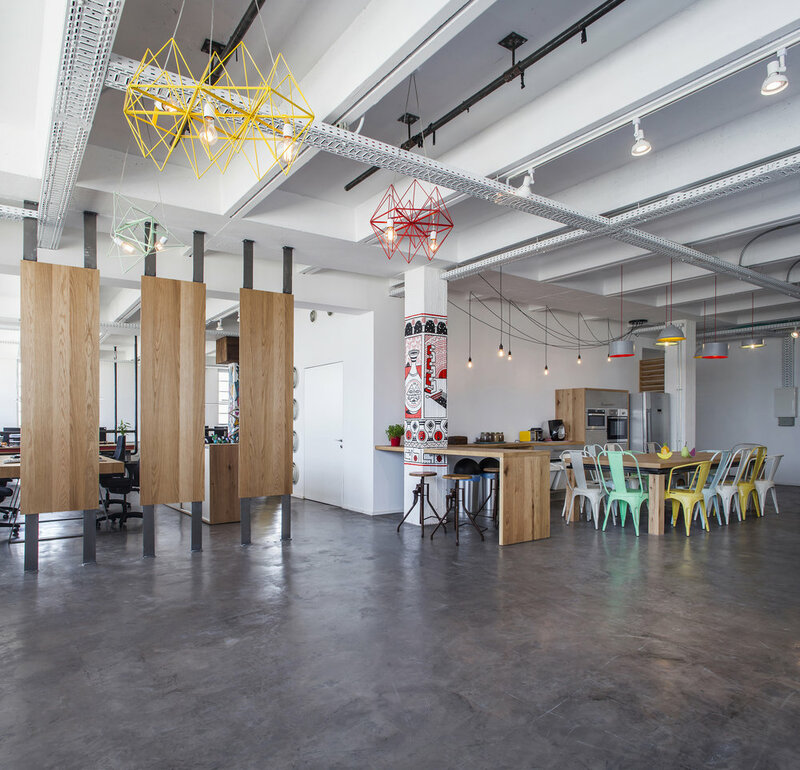 The new workspace designed for, Jelly Button Games and Hamutzim Studio, two companies sharing the same roof & founders, was a great challenge for the Architect Roy David, founder of the Tel Aviv based Architecture and Interior Design Studio. The offices are located in an industrial lofts building in Schocken Str. which is situated in the South Tel Aviv district that is well known for its "low-fi" industrial urban style. The 700 sqm, 3.5 meter high loft, was originally used as the residency and art studio of its former owner. 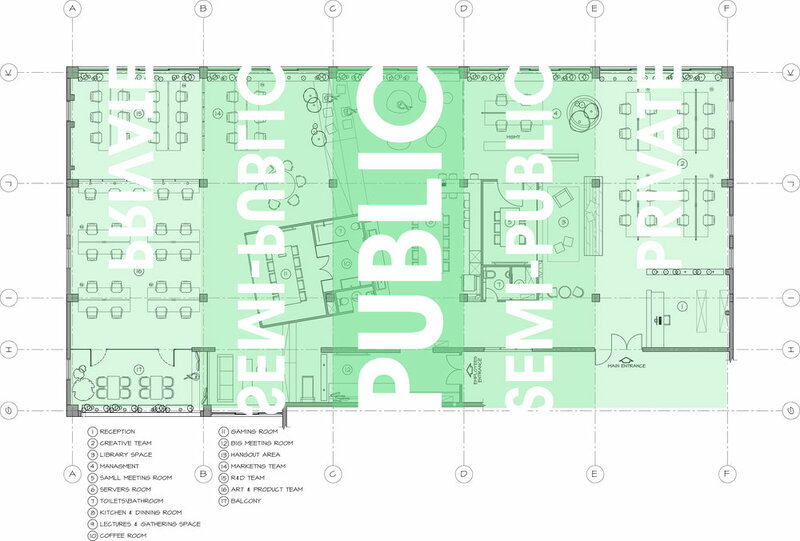 The main design idea was to create a three segment plan of public, semi-public and private areas. It resembles the ripple effect, which in its core stands the public space, serving as a knowledge sharing center inspiring interaction between the office’s various professionals. As the ripple effect fades out to the peripheral areas, the private areas of the working spaces are revealed. Those areas house various office functions such as meeting rooms, a gaming room and workspaces. Such arrangement emphasizes the central as a core entity. Upon entering the space, one is impressed by the clean white walls, white industrial ceiling and grungy concrete flooring which serves as a blank canvas for the custom-made wooden furniture and elements situated in the reception and the intimate library areas. The infrastructure challenge was solved by constructing large iron pipes from the ceiling down to each of the working stations to enable electricity and communication. The material palate chosen dictates a use of minimalist, eclectic and industrial approach. All the furniture, décor elements and lighting-fixtures in the office were custom-made, mostly crafted with natural materials such as oak wood, iron and OSB wood plates. 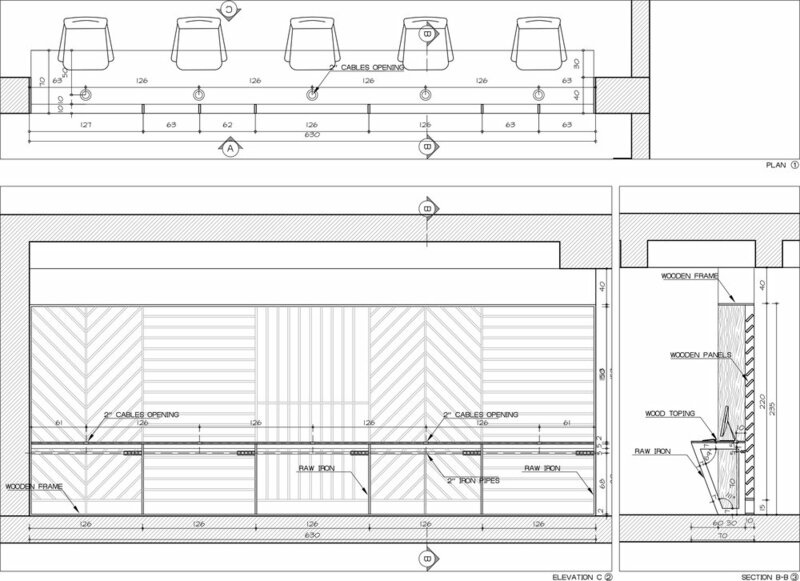 The existing support columns were selected to be drawn by famous street artists, where their nearby studios are situated. The "ink injection" took place on the same day in a small gathering of the architect, the office team and the various street artists. The library is furnished with various types of couches, an ancient Persian rug, a huge iron and oak wood book shelves and a dark glass window allowing a view to the small meeting room. The kitchen and dining areas were designed also with industrial pipes, coming down from the white concrete ceiling, supporting the top kitchen shelves and creating a unique furniture composition. 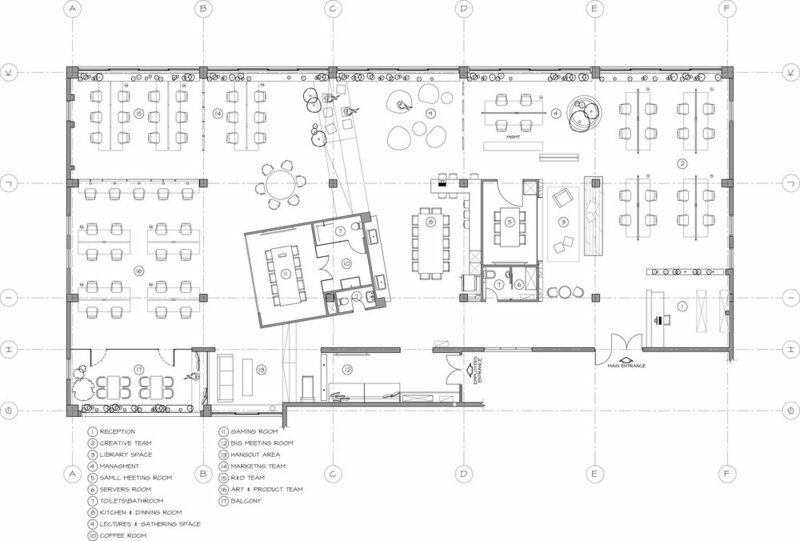 A large communal dining table was situated at the center of the space to encourage interaction and allow ideas to emerge. The minimal industrial and eclectic design reflects the office's culture that aspires to perfection, creativity and joyfulness. This transcends into the companies' products and the interaction with their clients.